Before [The] Caseworker, Conor and Eimer Devlin fronted slowcore trio Half Film, whose two acclaimed albums – East of Monument and The Road to the Crater – are now lovingly reissued by Hidden Shoal. “Here’s how I remember it: Me and Eimer moved to San Francisco in 1995 from the UK. We chose San Francisco because we loved two bands from that city: Swell and American Music Club. We also figured the winters would be kinder than New York. “Neither of us had been in a band before, or played live, so we were pretty clueless, and in hindsight it was all quite na ve: to just up sticks and head to California with our guitars. We tried out a few drummers but they were all too rock for what we were doing – we were looking for a quiet drummer who could play slow. We got introduced to Jason Lakis at a barbeque; he d been around the SF music scene for a couple of years, and was also a veteran of the east coast thrash metal scene. He was an extremely accomplished musician, but he d no idea how to play drums, so it suited us perfectly when he asked to join our band as the drummer. So that was all three of us kind of learning our instruments together, and the sound and the songs developed from that inexperience. I think we felt our way towards a sound. And I think we somehow wrote memorable songs too. Things after that seemed to happen for us pretty easily: we ran off a demo in the fall of 97 and and sent it out to various labels. Buzz Records in Chicago, who had Idaho on their roster, liked it enough to offer a deal. We recorded the first lp (East of Monument) in San Francisco over a weekend. We seemed to play shows constantly my old diary shows two rehearsals a week and a show every weekend, and often midweek too. We played anywhere and everywhere, up and down the west coast ..we even had our own van ..so we were a busy act…..
“1998 saw the release of the first lp in the spring, the second album taped with Jim Putnam (of the Radar Bros) in LA over the summer, and a 6 week European tour with our idols Swell in the winter. We were happy to work hard, and we all had that specific energy and drive that bands in their 20s have. 1999 was less busy, but the shows kept coming, and the second lp (The Road to the Crater) came out in the summer. We taped a 7inch (The Only Direction is South) for AIP records in late 99 with Monte Vallier (of Swell) and handed that in before Christmas. Then me and Eimer took off for a long 3 month break in Spain in February 2000. “When we came back, we all kinda threw in the towel. And that was that. 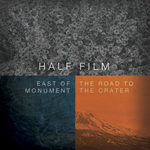 Half Film‘s beautiful double album reissue, East of Monument/Road To The Crater, is this week’s RTRFM Drivetime feature album. Not only will you be hearing tracks off the albums all week on RTRFM but Perth listeners will also be able to win a copy every day on the Drivetime program. These two late 90′s slowcore masterpieces are available together as a specially priced double CD and singley in digital formats from the Hidden Shoal Store. All CD orders come with an immediate download of both albums. Hidden Shoal Recordings is proud to announce CD pre-orders for the reissue of two late 90’s slowcore masterpieces East of Monument and The Road to the Crater by San Franciscan trio Half Film. Both albums will be released as a specially priced double CD and singley in digital format. All CD pre-orders come with an immediate download of both albums. The albums will see official release on 31st of October. Head to the Hidden Shoal Store to pre-order your copy now and stream both albums in full. We are damn excited to be able to bring these two amazing albums back into the world and can’t wait to share them with both a new audience and also re-connect with Half Film’s existing fans. The double CD will contain both albums in the one package and will be available for pre-order on the 18th of October with an official release date of October 31st. Don’t forget to download the free single, ‘Machines, Hawks and the Perfect Equation’ from the Hidden Shoal Store while you wait. 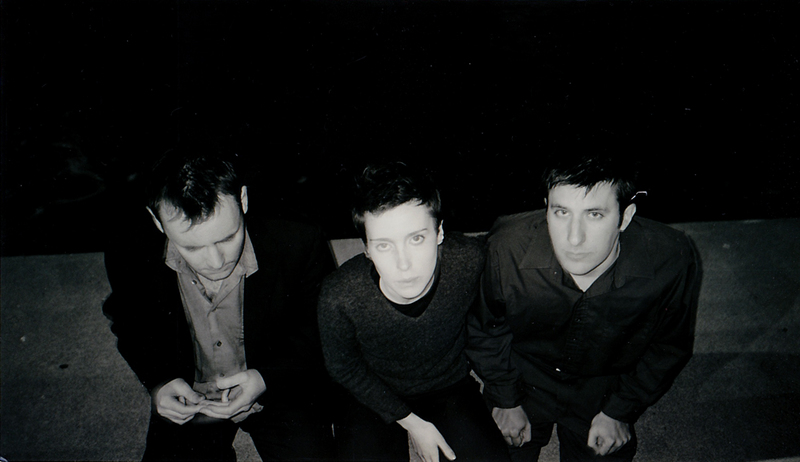 Hidden Shoal is proud to announce the forthcoming reissue of the two acclaimed studio albums by Half Film – the slowcore trio fronted by [The] Caseworker’s Conor and Eimer Devlin – who made dark waves in the US indie circuit in the latter part of the ’90s. 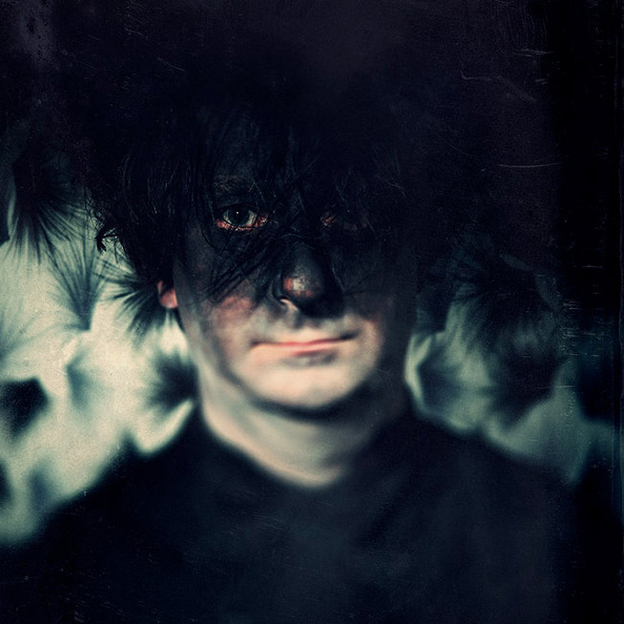 East of Monument and The Road to the Crater are released on 18 October, preceded by the release of single ‘Machines, Hawks and the Perfect Equation’ on 6 September. The history of Half Film began in 1995 when guitarist/vocalist Conor Devlin and bassist Eimer Devlin moved to San Francisco from the UK, based on their love of two bands from that city: Swell and American Music Club. There they were introduced to Jason Lakis. All three members of the band learned how to play their respective instruments together, with Half Film’s sound and songs developing from that inexperience. 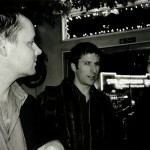 The trio recorded a demo in 1997, which was picked up by Buzz Records in Chicago. 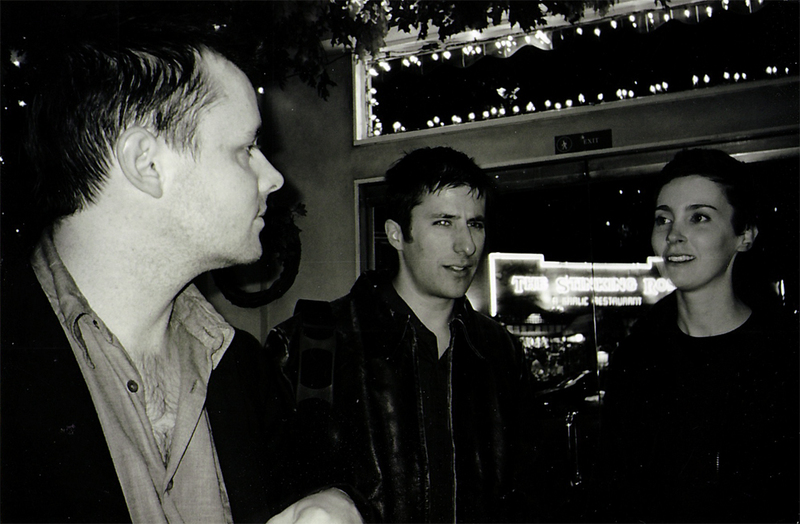 East of Monument, their debut album, was recorded in San Francisco over a weekend and released in spring 1998. 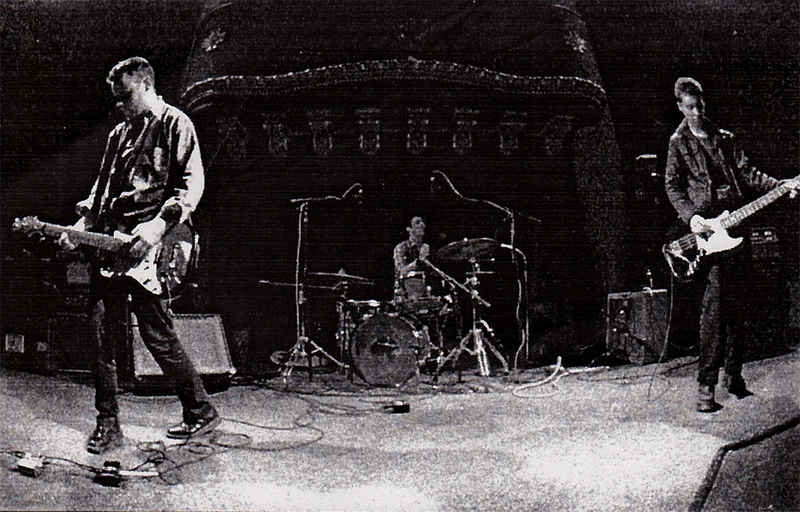 Second album The Road to the Crater was laid to tape with Jim Putnam (of the Radar Bros) in LA, followed by a six-week European tour with Swell. 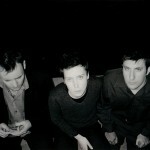 After Conor and Eimer took a three-month break in Spain in February 2000, all three members decided to call it a day. And that was that. 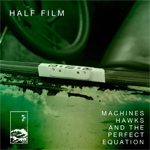 Single ‘Machines, Hawks and the Perfect Equation’ is released for free download from the Hidden Shoal Store on 6 September. East of Monument and The Road to the Crater are released as a double CD and in digital formats on 31 October, with CD pre-orders available on 18 October. 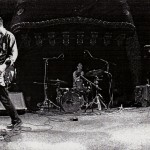 “This “double album” from Half Film isn’t exactly new music – the trio found themselves caught up in the slowcore scene of the late-‘90s, and after bringing out East Of Monument in 1998 and The Road To The Crater in 1999, they called it a day. 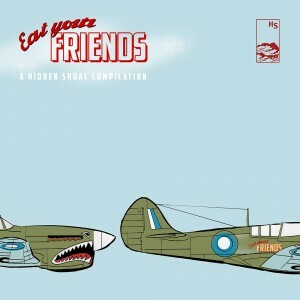 Hidden Shoal Recordings have taken it upon themselves to put both albums out, and it’s a gem of slow-burning, understated atmosphere. East Of Monument’s eight tracks all run into each other with slight sonic variations of tone and cadence yet all set on the same steady keel. There’s no ebb and flow here; from the brooding Weather Patterns to the ambling undulations of Beaten By A Landslide, the songs invariably remain the same. Even when they break from tradition, they don’t – The Arrangement holds a candle to Slint, albeit without the cathartic violent release, whilst Sortition threatens the quiet/loud dynamic of post-rock to no avail. Yet despite the repetition, the inherent melody is held throughout, a muted nuance held further aloft by guitarist Conor Devlin’s hushed vocals. Half Film’s music is available for licensing (master & sync cleared) through Hidden Shoal. Please contact us with some basic details about your project and the track(s) you wish to use and we’ll be sure to get back to you straight away.